From Goodreads: "June and Day arrive in Vegas just as the unthinkable happens: the Elector Primo dies, and his son Anden takes his place. With the Republic edging closer to chaos, the two join a group of Patriot rebels eager to help Day rescue his brother and offer passage to the Colonies. They have only one request—June and Day must assassinate the new Elector. But as June realizes this Elector is nothing like his father, she’s haunted by the choice ahead. What if Anden is a new beginning? What if revolution must be more than loss and vengeance, anger and blood—what if the Patriots are wrong?" 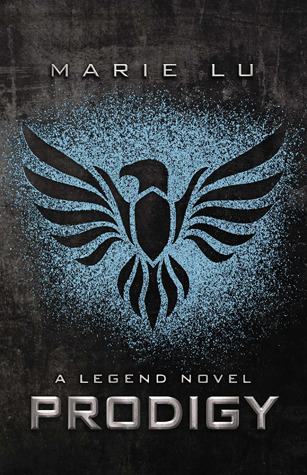 Check out my review of Legend by Marie Lu, the first in this thrilling series! Not too long to wait for this one now!! Hope you are enjoying it soon! I still need to read book 1! I really need to read the first one.... Nice pick. Eep I'm dying to read Prodigy too!! I can't wait to find out what happens next. Legend was amazing! Another person "waiting on" Prodigy :D. Technically I'm still waiting on Legend because I haven't read it yet, but I will do it soon! 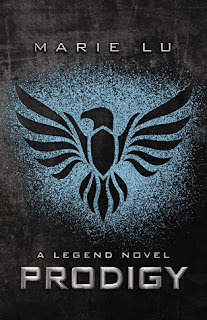 I can´t wait to read Prodigy. Great pick! It seems Prodigy has gotten some pretty good reviews, and I've seen it on quite a few WoWs! Gonna go buy Legend now HAHA! I NEED to read Legend! I have only heard good things about it and with the sequel coming out - yep gottsa get on that.